The simplest way to revamp your bedroom is with a throw and cushions. Use the Grove Collection to give your bed a chic, urban twist and some extra warmth. 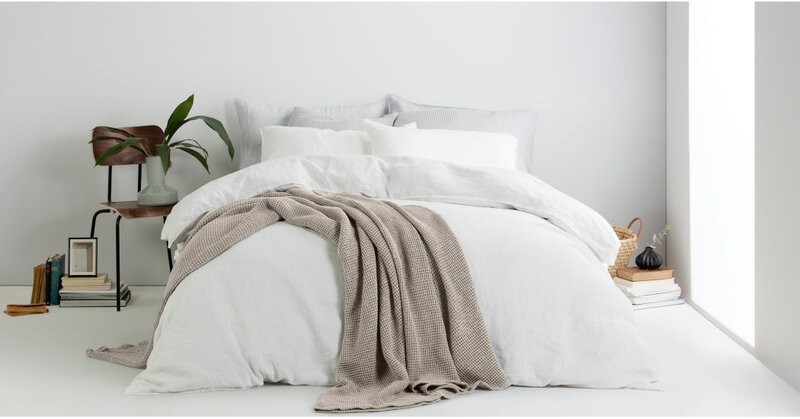 The throw is crafted from a heavyweight cotton, stonewashed for a super-soft feel. The tactile waffle pattern gives it a bit of stretch – handy if you share the bed with a duvet snatcher. Grove is made by our expert manufacturer in Portugal. Thanks to them it looks and feels premium without the premium price tag. We like the little variations in the waffle texture too - nice touch.